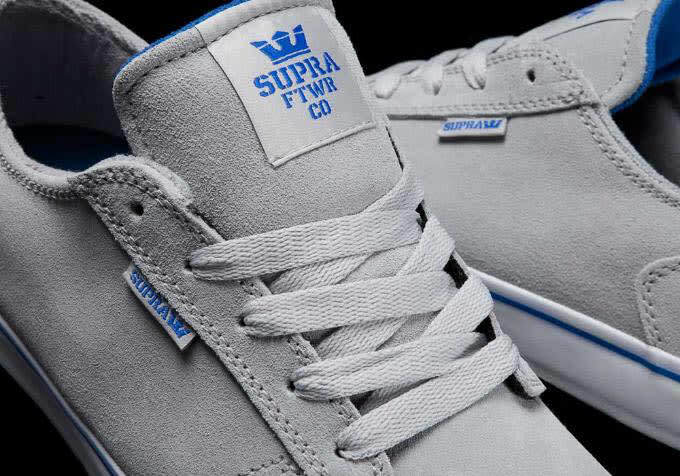 Supra lets loose a new take on its lowtop Amigo silhouette, seen here in a majority grey spread. Suede covers the skate sneaker&apos;s upper, as royal blue accents account for the pop-effect on the drop. Tonal laces then round out the pair, while a white midsole sits underneath. Hit up Supra today to cop for $60.